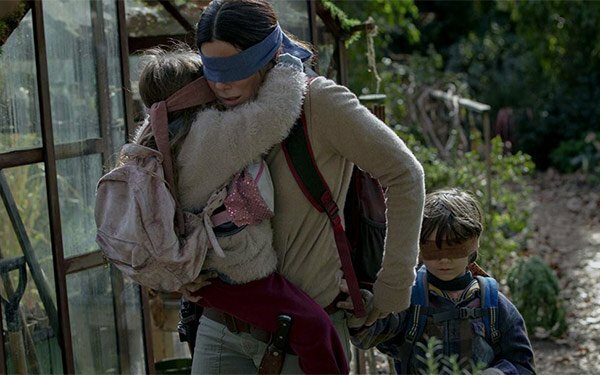 YouTube updated its guidelines on Wednesday banning videos that encourage dangerous activities such as those seen in the recent Bird Box, Tide pod, or the Fire challenge. Some of the biggest sponsors to these videos are search engines and smaller agencies. The biggest challenge, for YouTube, will be finding and taking down all the challenges that can lead people to cause themselves or others harm. Search on “bird box” challenge, for example, and there are still a variety of videos that serve up. “We’ve always had policies to make sure what’s funny doesn’t cross the line into also being harmful or dangerous,” wrote Camilla, part of the YouTube team, in a post. The community manager explained that the platform is home to “beloved viral challenges and pranks,” but Google and YouTube have a responsibility to prohibit content that encourages harmful activities. YouTube now posts a “Notice” on the page of the video that states “Age-restricted video (based on Community Guidelines). Bird Box challenges got its name from the movie and popular series on Netflix in which mysterious forces decimate a society. The survivors must cover their eyes when outside to avoid seeing the evil that chases them as they seek safety. Online ticket search engines like SeatGeek sponsor these types of videos. Singlegrain, a digital agency supporting content, also has run advertisements on some of these types of videos. Videos that YouTube considers dangerous involving illegal activities include instructional bomb making, challenges that encourage acts that have an inherent risk of severe physical harm, pranks that make victims believe they’re in physical danger, pranks that cause emotional distress to children, hard drug use, and other acts that may result in serious injury.